Similar to the traditional solvent-based inks and made with the same pigments, these inks clean up with soapy water. 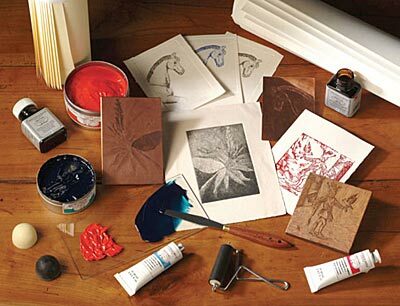 They can be used for all forms of intaglio, lithography, and monotype. All colors are lightfast and permanent once dry. 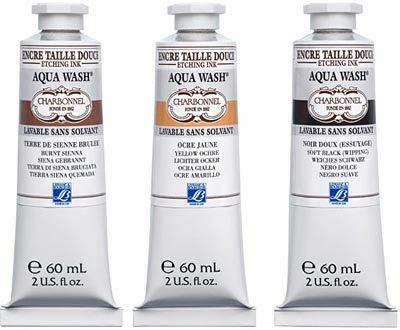 Ideal for students and artists looking for an ink that does not contain solvents and is odorless, non-toxic, and easy to clean. The range consists of 17 colors available in 60ml tubes, three additives, and six blacks available in 60ml and 150ml tubes. Inks ship in the USA via USPS Priority Mail, $5.80. Thank you for considering Lenz! Looking for the best price in the USA on Rives BFK Printing Paper?